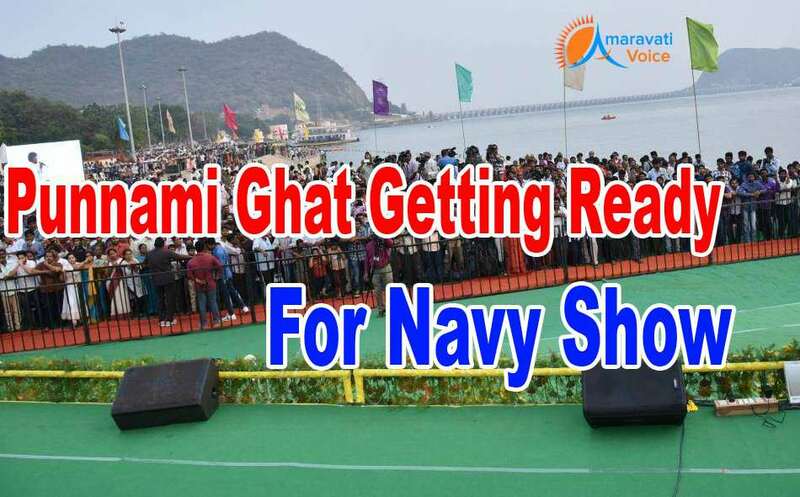 Berm Park and Punnami Ghat are being spruced up for navy show scheduled for February 4 and 5. The Sports Authority of India would pick up school children interested in navy and help them stay in the city to witness navy operations. The Navy Mela is intended to create awareness among school-going children on the defence forces of the country. An air show was conducted recently to create awareness among students about career prospects. Students from Rayalaseema region would get priority to witness the navy show. Actually, the navy show preparations would begin on February 1. The Krishna riverfront is a buzz with activity as fool proof arrangements are being made for the navy show. With air show already creating much interest in students about our air force, the navy show is all set to create more enthusiasm among them.